Grandmother, grandma, granny, nanna – these are the names of love, care, and wisdom. Grandmother’s house is the place where the most delicious pancakes are made. It’s the place where you are always welcomed. A grandma is a person who dotes on you and does everything for you. Having gained experience in the upbringing of your parents, a grandma is more patient and wiser and at the same time, she’s a lot more fun and compliant than your parents. Grandmas are wonderful. They never run out of hugs, cookies, and warm sweaters. They like spoiling their beloved grandchildren. Who let you go out with your friends when you are supposed to be grounded in your room? Who takes you to the park and buys you an ice cream even though you’ve already reached the limit for today? Who tells you exciting stories? Yes, it’s your grandma. Another proverb, but this time Welsh says: “Perfect love sometimes does not come till the first grandchild.” And it’s so cool that we as grandchildren can experience this perfect love. 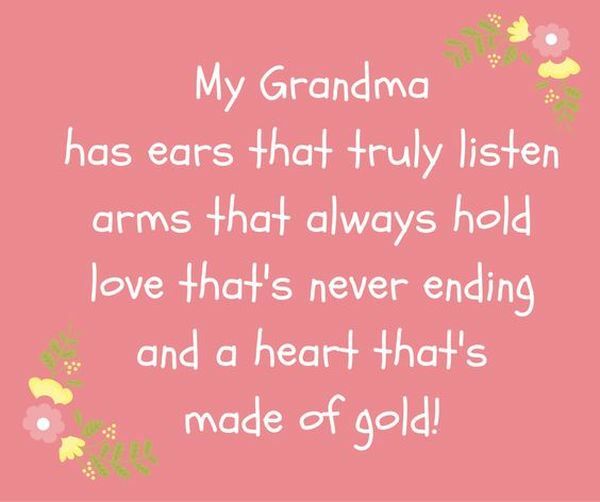 So, whether you want to congratulate your granny on Mother’s Day or just say warm words of love on any other day, get inspired by a great number of beautiful ‘I love you, grandma’ quotes and short grandma sayings. 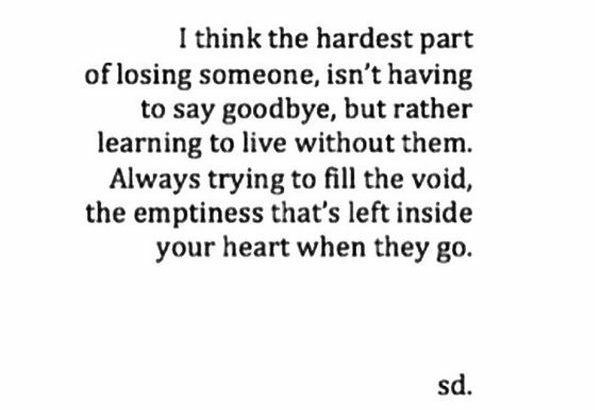 It’s always hard to express the way you feel when someone close to you passes away. 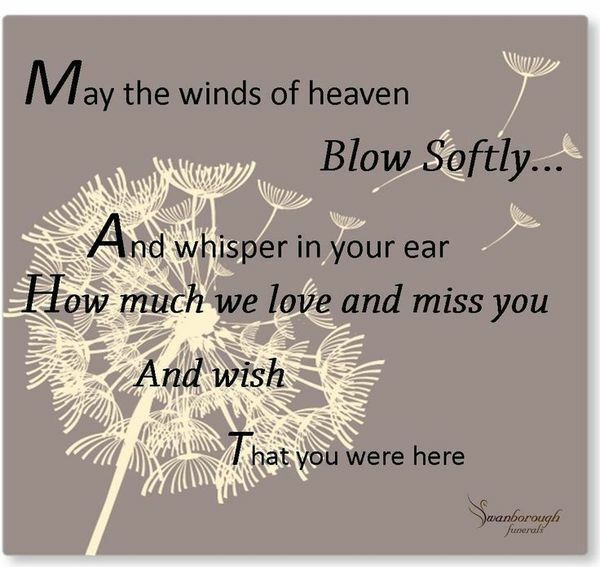 You may like some quotes in memory of granny or missing grandma quotes to honor her memory. Of course, they won’t ease the pain of loss, but at least will help you to find the right words to say. 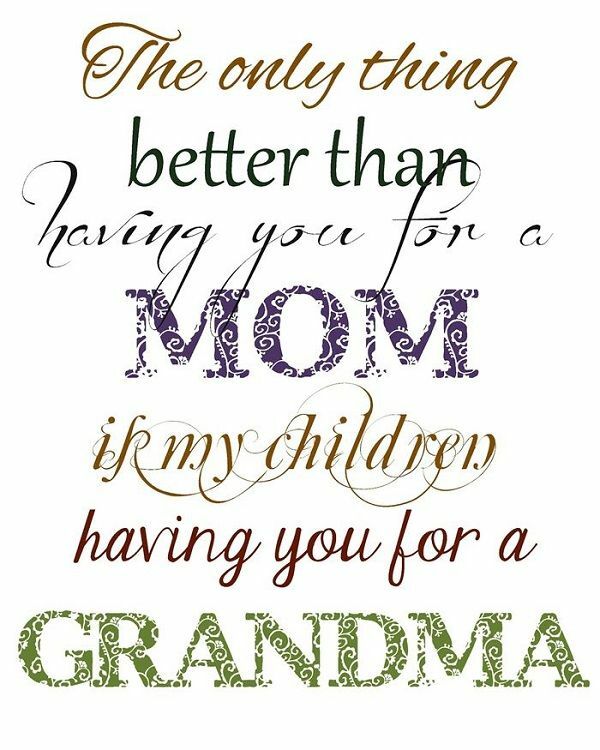 We sincerely hope that you will like our selection of beautiful and heartwarming quotes about the grandmother. Every secret of life I know, I learned at my grandfather’s knee. Grandmother. The true power behind the power. Grandmothers sprinkle stardust over children’s lives. Grandmothers always have time to talk and make you feel special. Grandmas and grandpas are grand-angels. It took me a long time to get used to the reality that my grandmother had passed away. Wherever I was, in the house, in the garden, out on the fields, her face always appeared so clearly to me. You are the sun, Grandma, you are the sun in my life. I still loved Granny. It flowed out of my chest. With Granny gone, where would my love go? Grandma; it was to grandma I truly wanted to have returned, but she was no more. Grandparents are a delightful blend of laughter, caring deeds, wonderful stories, and love. I miss you, grandma. For myself, one of the sweetest words I have ever heard is “Nana”. A golden heart stopped beating, hard working hands at rest. God broke our hearts to prove to us that He only takes the best. And her heart was solid gold. A garden of Love grows in a Great Grandmother’s heart! Grandma always made you feel she had been waiting to see just you all day, and now the day was complete. 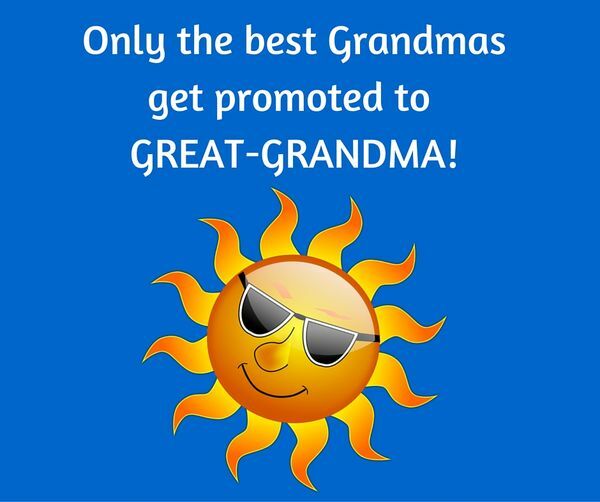 Just when a grandma thinks her work is finished someone calls her “Great”! Mommy knows a lot, but Grandma knows everything. Happiness is having a Great-Grandmother! A grandma’s name is little less in love than is the doting title of a mother. A great-grandmother’s heart is a patchwork of love. All grandmothers are made of gold, but mine sparkles. There is no greater achievement than being a grandmother who tells fairy tales to grandchildren. My grandmother is my angel on earth. Grandparents are a family’s greatest treasure, the founders of a loving legacy, The greatest storytellers, the keepers of traditions that linger on in cherished memory. Grandparents are the family’s strong foundation. Their very special love sets them apart. Through happiness and sorrow, through their special love and caring, grandparents keep a family close at heart. A grandmother is both a sword and a shield. You were my anchor; without you I am adrift. 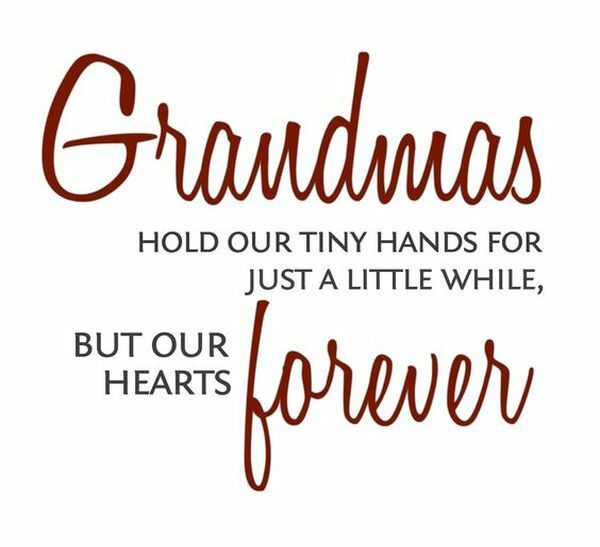 Grandma, we’ll always remember that special smile, that caring heart, that warm, embrace, you always gave us. You being there for all of us through good and bad times, no matter what. 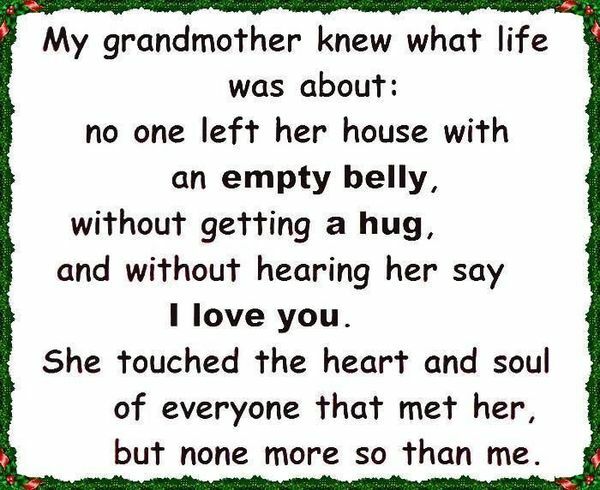 Grandma, you will always live in my heart and thoughts. Not only were you my best friend, but also the best person I have known. You will be missed, grandma. It still hurts, I still can’t get used to the fact that you are not with us anymore. No one ever had a better grandmother. When I said “goodbye” to my grandma, a part of my heart died too. I keep believing that you didn’t die, you became a star to always show me the right way from the skies. Miss you, grandma. A grandmother used to say that we were two souls separated in heaven. You may be gone from my sight, but you will never be gone from my heart. I may not be able to see your face, but I will always see your sweet smile. I may never hear your voice again but you will forever echo in my soul. The moment that you left me, my heart was split in two. One side was filled with memories; the other side died with you. I often lay awake at night when the world is fast asleep; and take a walk down memory lane with tears upon my cheeks. Remembering you is easy, I do it every day; missing you is a heartache that never goes away. 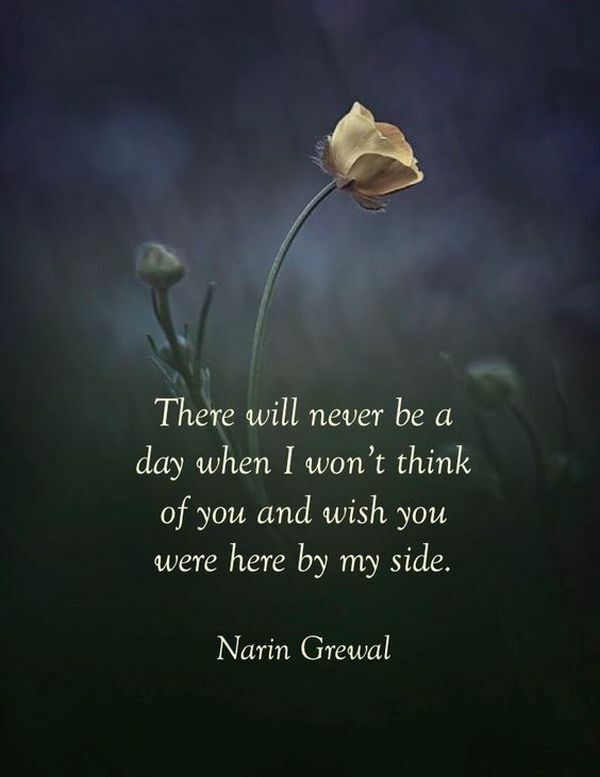 I hold you tightly within my heart and there you will remain; you see life has gone on without you, nut will never be the same.. I still can’t believe how much room for love and care you had in your heart. God saw you getting tired and a cure was not to be. So He put His arms around you and whispered “Come to me”. I thought grandmothers had to like you. It’s a law or something. Your life was a blessing, your memory is a treasure, you are loved beyond words and missed beyond measure. You were like a second mother to us. You were a kind and strict teacher at the same time. Grandma, you will be missed. Grandma, I know you’ve loved me since I was born, but I will love you my whole life. Death takes the body. God takes the soul. Our mind holds the memories and hearts keep the love. Our faith lets us know we will meet again. 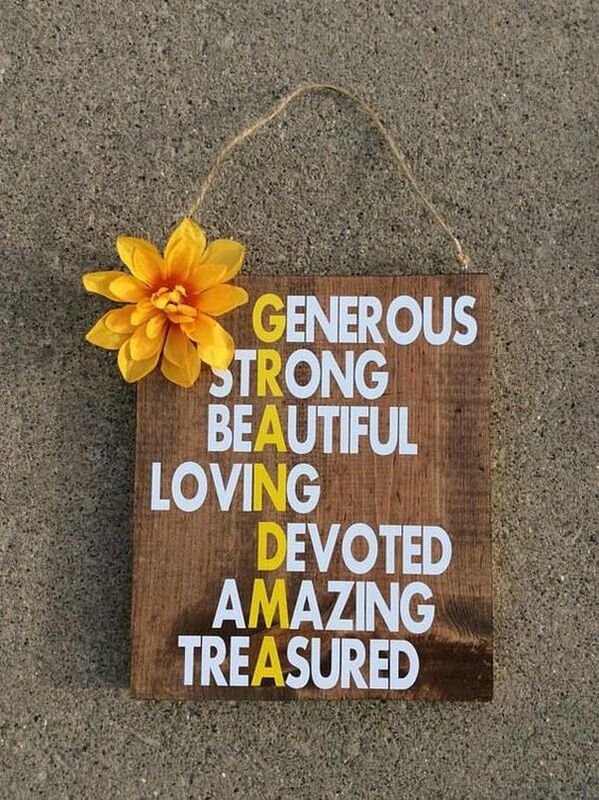 A grandmother is a remarkable woman. She’s a wonderful combination of warmth and kindness, laughter and love. She overlooks our faults, encourages our dreams, and praises our every success. Grandmother — a wonderful mother with lots of practice. A grandmother is like an angel, who takes you under her wing, she prays and watches over you and she’d gift you anything. 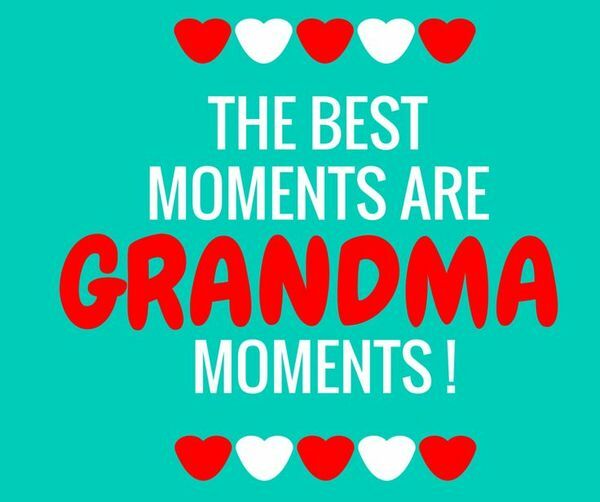 Grandma” doesn’t mean OLD – It means BLESSED and LOVED! 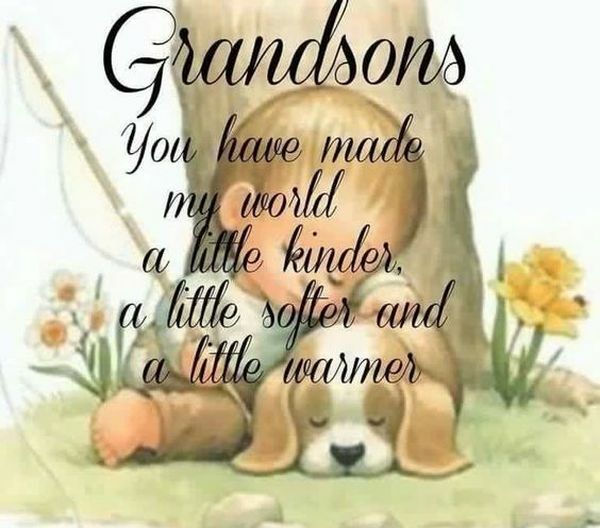 Grandparents make the world… a little softer, a little kinder, a little warmer. I have a guardian angel in Heaven. I call her Grandma. My grandmother taught me everything except how to live without her. I keep myself busy with the things I do. Bit when I pause, all I can think of is you. Once heaven is done with grandma, we’d like to have her back. I know God takes the best, but it hurts so much, grandma. I wish you were her with us. 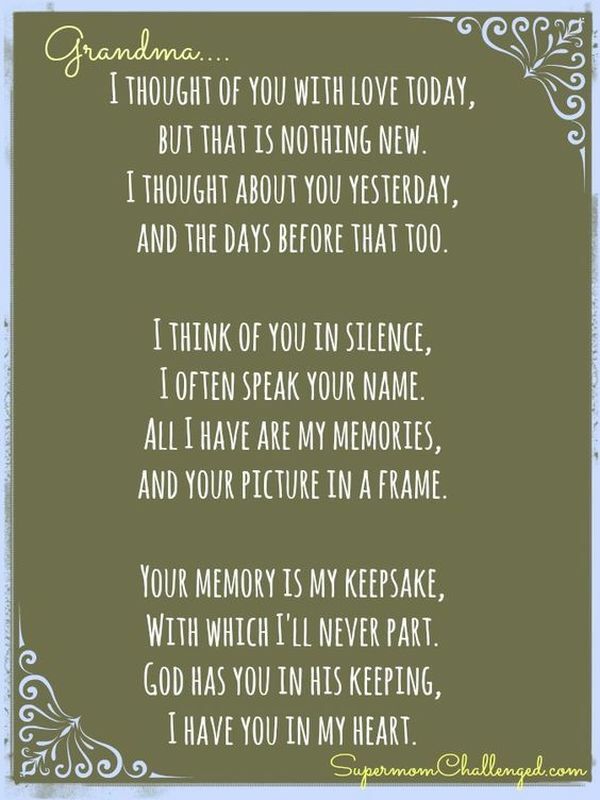 I miss you grandma. Some moments can only be cured with a big squishy grandma hug. Why had my grandfather gone to so much trouble to have my grandmother’s letters bound into a book so carefully and lovingly? Since no one ever spoke about my grandmother around me, it had not occurred to me that my grandfather truly cared for her. I held in my lap the history of their love affair, something I had not acknowledged before. Grandmothers are wonderful ladies who always seem to place others in front of themselves. If I had known how wonderful it would be to have grandchildren, I’d have had them first. 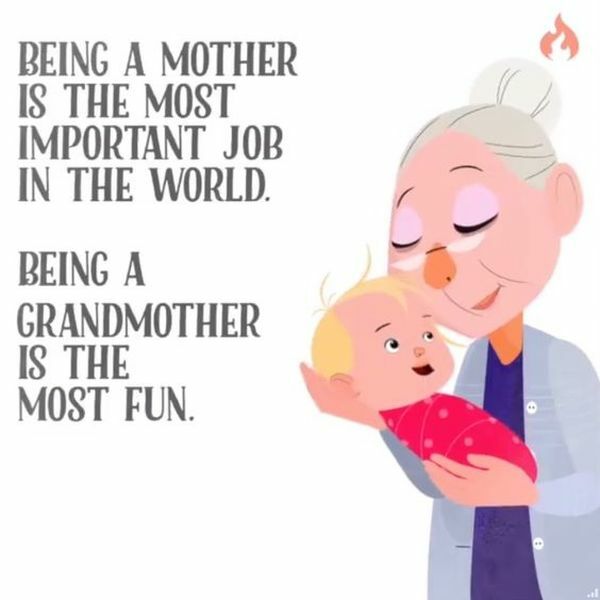 If your baby is “beautiful and perfect, never cries or fusses, sleeps on schedule and burps on demand, an angel all the time,” you’re the grandma. Becoming a grandmother is wonderful. One moment you’re just a mother. The next you are all-wise and prehistoric. Having a grandmother is like having an army. This is a grand-child’s ultimate privilege: knowing that someone is on your side, always, whatever the details. Granny always said finding justice was as tough as putting socks on a rooster. Some of the world’s best educators are grandparents. There are grandmothers out there who would move heaven and earth for their grandchildren. You left me beautiful memories, your love is still my guide, and though we cannot see you, you’re always at my side. Grandma came back from that distance in time that separates grandmothers from their grandchildren and made herself a mother to me. My grandmother loved me when I was invisible to everyone else. forever thoughtful of our special needs. I will always love and cherish you. My grandson is a window to my past, a mirror of today, a door to a tomorrow I may never see, and the keeper of my heart for all eternity. Some moments can only be cured with a big squishy grandma hug. Grandmothers are voices of the past and role models of the present. Grandmothers open the doors to the future. My grandmother, she’s been the positive portion of my life the entire time. A Grandmother thinks of her grandchildren day and night, even when they are not with her.She will always love them more than anyone would understand. There’s no place like home… except Grandma’s. Grandmothers and roses are much the same. Each are God’s masterpieces with different names. 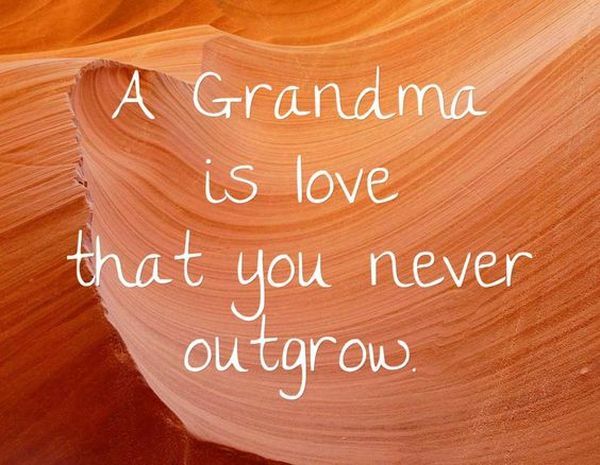 Grandmother-grandchild relationships are simple… Grandmas are short on criticism and long on love. As grandma said, if you don’t have anything nice to say, don’t say anything at all. Your sons weren’t made to like you. That’s what grandchildren are for. A grandmother always has time for you, even if the rest of the world is busy. Grandma serves kisses, counsel, and cookies daily. Grandmothers are just “antique” little girls. Grandparents, like heroes, are as necessary to a child’s growth as vitamins. 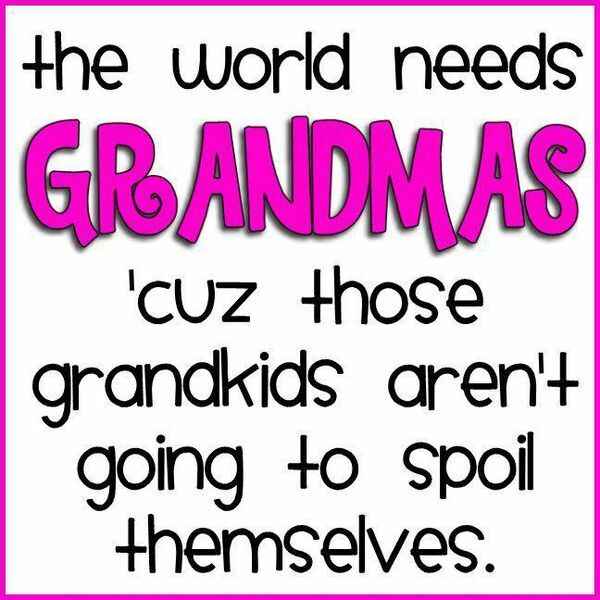 Children are often spoiled because no one will spank Grandma. Grandma’s listen because they care and helpful advice always willing to share. So long as they had access to their grandchildren, grandmothers wholeheartedly reported feelings of excitement and pleasure on the arrival of a new grandchild. For most, the wonder of the experience well and truly compensated for any anticipated downsides. I never knew just how much love this heart could hold until I became a Grandma! Grandmotherhood initiated me into a world of play, where all things became fresh, alive, and honest again through my grandchildren’s eyes. Mostly, it retaught me love. Grand-parenting is the stage in life when you finally understand the true meaning of the best is yet to come… Because you’ve reached it. I want to be a sunshine grandma. Grandparenting is the stage in life when you finally understand the true meaning of the best is yet to come… Because you’ve reached it. 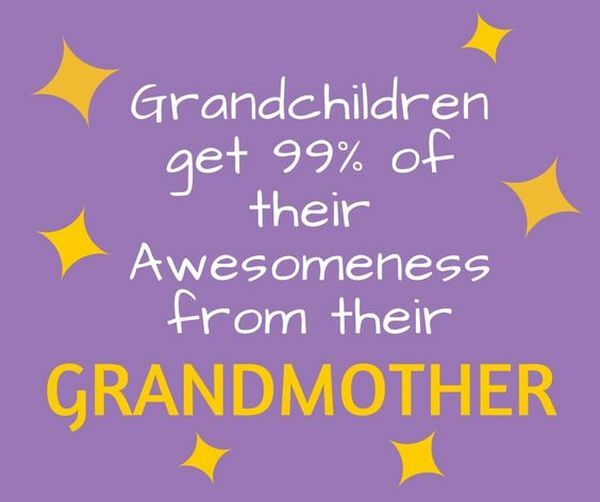 Truth be told, being a grandma is as close as we ever get to perfection. The ultimate warm sticky bun with plump raisins and nuts. The real miracle of life occurs when your child’s child is born. Becoming a grandmother brought me back to the things I forgot to love. Nature. Playing. Seeing animals. A new way of looking. A rejuvenation. A cycle of life – things come back to you. The details.